Just like the Lidded Cazuela, the Flat Casserole is perfect for the slow cooking of stews and casseroles, but due to its low profile, perfect for rice and seafood stews such as Paella. 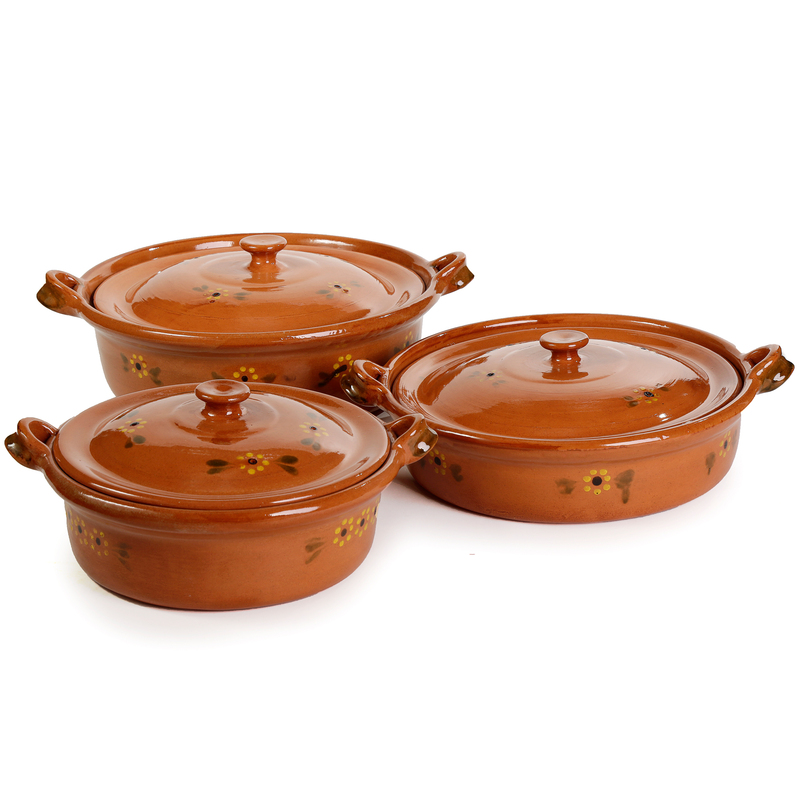 It is lower and wider than the Lidded Cazuela, and well suited for gas or electric ranges, and perfect for placing in an oven for finishing those rice dishes slowly. Since clay is a natural and porous material, it does not react with the food and causes a slow evaporation of steam from the pores. The moist enclosed interior results in food that is healthier and tastier as it requires less fat and liquids. The beautiful exterior finish makes for a great presentation for family style service. Many people are intimidated by Nopales, or Prickly Pear Cactus paddles, not only because of their appearance in their uncooked state, but also because of their texture and sliminess. Like okra, you will either love them or hate them. Washing the cut Nopales with water several time helps reduce the slime.